Vinyl fencing has become a popular fencing option for both residential and commercial properties. The material is synthetically created by combining ethylene and chlorine, producing a highly durable plastic as a result. Invented in 1920, vinyl is most often used in the construction industry as a flooring and siding option. If you’re looking for an easy, low-maintenance fencing solution, you should consider opting for a vinyl variety. The plastic material is easily cleaned with soap and water, making it ideal for high-traffic areas. Considering that many commercial properties fall victim to graffiti, vinyl fencing makes an excellent alternative, as it is a easily cleaned and keeps your property looking professional. Unlike its wood and aluminum counterparts, vinyl fencing’s colour doesn’t fade over time. Wood fencing often requires treatment and staining every few years to extend its lifetime. 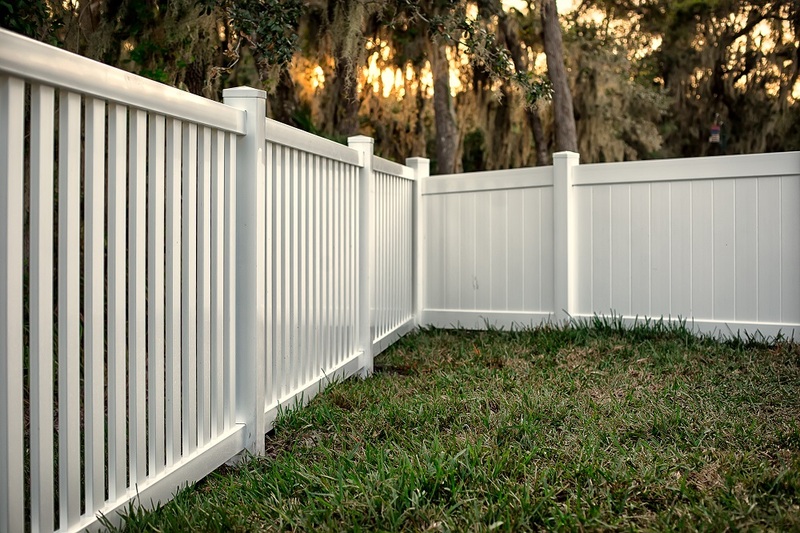 Because it is a synthetic material, vinyl fencing also doesn’t fall victim to insect infestations that are often the cause of damaged wood fences. Vinyl fences are up to five times stronger than wood. This makes the material ideal in areas that experience extreme weather conditions, such as strong wind, snow, and rain. Being synthetic, vinyl is much more flexible and therefore moves with the wind or weather, reducing the chances of cracks or splinters. This durability makes vinyl fencing a worthwhile investment, as you will spend less money tending to costly repairs. Fences are a great way to boost your curb appeal and make your house stand out on the block. If you’re considering selling your home, installing a vinyl fence will boost your selling value. Many homebuyers seek fencing as a way to increase privacy in addition to the safety of pets and animals. With a variety of colours, styles, and installation options, you will be sure to find a solution that complements your pre-existing backyard. Vinyl fencing will stay in much better than condition than wood, reducing the need for frequent replacement and keeping your landscaping well maintained. Now, you won’t need to worry about wood rotting, chipped paint, or faded stains. When installing a vinyl fence, keep in mind that the quality of materials and proper installation affect the aesthetic appeal, as well. That is why you should rely on fencing professionals who have the knowledge and skills necessary to assist you when making your fencing decision. At Can Supply Wholesale, we specialize in providing excellent quality PVC fencing products at affordable prices. To learn more about our products and services, call 1-844-932-2680 or schedule an appointment today!